1129b, Hubcap CENTER USED, 15", 89-93, BUICK, RIVIERA, DARK GREY & BLACK BACKGROUND, CHROME LOGO, 3 METAL CLIPS, 3-3/4 DIA, FOR WIRE TYPE HUBCAP. 1376a, CENTER CAP USED, 84-89, CHEVY, CELEBRITY, CHROME, GOLD BOWTIE, 3 METAL CLIPS, 2-3/4" DIA. 1643b, CENTER CAP USED, 88-91, BUICK, CENTURY, SKYLARK, CHROME OUTER RING, BLACK CENTER, CHROME, SILVER, WHITE & BLUE LOGO. 2-1/8" DIA. 1643b, CENTER CAP USED, 88-91, BUICK, CENTURY, SKYLARK, CHROME OUTER RING, WITH BLACK CENTER AND CHROME SILVER, WHITE & BLUE LOGO. 3 METAL CLIPS. 2-1/8" DIA. FOR A 14", ALSO FITS 1441. 3258a-2, CENTER CAP USED, 98-03, MAZDA, DARK GRAY, BLACK CENTER, CHROME EMBLEM. 5 SPOKE, 3 METAL LUG NUT CLIPS. 6-1/4" DIA. 3259c-2, CENTER CAP USED, 15', 99, FORD, EXPLORER, RANGER, CHROME WITH ENGRAVED FORD EMBLEM, 5 FAKE LUG NUT & 3 METAL LUG NUT CLIPS. 6-1/2" DIA. 3329a, CENTER CAP USED, 99-00, 17", FORD, F150,CHROME PLASTIC CAP, RAISED STAR SHAPE, ENGRAVED WORD FORD, 3 METAL CLIPS, 7-3/4 DIA. 3329a, CENTER CAP USED, 99-00, 17", FORD, F150, CHROME PLASTIC CAP, RAISED STAR SHAPE, ENGRAVED WORD FORD LOGO, 3 METAL CLIPS, 7-3/4 DIA. FOR RIM. ALSO FITS 3398, 3773. 64638, CENTER CAP USED, 83-85, MAZDA, 626. MACHINED SILVER, 3 METAL CLIPS, NO LOGO, 2-1/4" DIA. 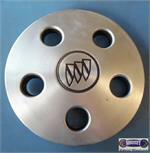 64664, CENTER CAP USED, 86-89, MAZDA, 323, CHROME METAL CAP, BLACK BACKGROUND, WORD MAZDA, 3 METAL CLIPS, 2-5/16". 64711a, CENTER CAP USED, 90-98, MAZDA, PROTÉGÉ, CHROME METAL CAP, BLACK BACKGROUND, WORD MAZDA, 3 METAL CLIPS, 2-1/4" DIA. 64711a, CENTER CAP USED, 90-98, MAZDA, PROTÉGÉ, CHROME METAL CAP (REFLECTS EVERYTHING) , BLACK BACKGROUND, WORD MAZDA, 3 METAL CLIPS, 2-1/4" DIA. 2-7/8" FROM CLIP TO CLIP, FOR A 13" RIM A=WORD MAZDA B=CHROME LOGO.